Simplicity in the South created some great DIY crate storage tables using repurposed shipping crates. Not only are they beautiful, they are a great way to hide not so beautiful things that are often laying around your house. One of these could come in handy to hide all of the video game accessories in the play room! If you don't happen to have a shipping crate to repurpose, you can make your own storage crate too. 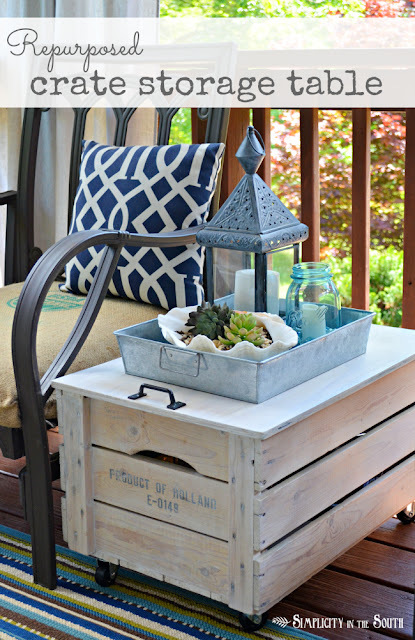 You can check out how to turn a crate into a storage table over at Infarrantly Creative.